A Day Late and A Dollar Short: Bruster's - September Sweet Reward Coupons! Bruster's - September Sweet Reward Coupons! Try out their apple flavors! 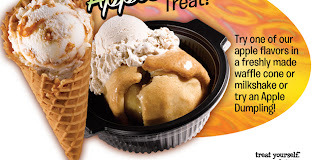 Waffle cone, milkshake, or an apple dumpling!